I am a 23-year-old former professional ice hockey player. My ice hockey career ended in an injury about three years ago. 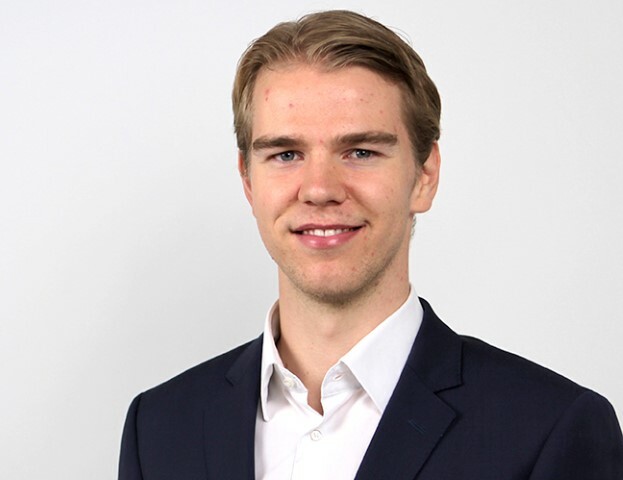 I started finance studies at Hanken during my playing career as I have always been interested in finance and business. 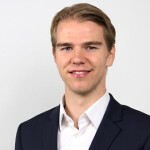 This summer I decided to apply to Deloitte as a Financial Advisory trainee because the positions sounded very interesting and I saw it as a perfect new challenge for me. I got invited to a group interview for the Commercial Due Diligence (CDD) team, where we as interviewees were tasked with solving one individual case and one group case. The interview itself was a really educative experience: we had to filter the relevant information from a rather large amount of material, solve the problems and present the solutions, all within a short time frame. The group interview went well and luckily, after one more individual interview I got offered the job which I have truly enjoyed. What kind of work tasks have you been able to do as a FA trainee? I have worked in the CDD team for almost two months in diverse work tasks. When I started the job in September I first began with helping preparing sales pitch material. The tasks included data sourcing, analyzing the collected data and preparing presentation slides. As I am writing this blog text, my first 4-week project is nearing its completion. In this project we helped an investor understand a potential M&A target company and its competition, market size and dynamics, commercial risks and value creation opportunities. The project gave me a very good view on what a commercial due diligence process looks like. We had a team of four persons in this project, which is a typical team size in our CDD engagements. Right from the start I felt that I got to participate fully as an equal member of the team. My tasks included all from interviewing the target company’s clients, gathering and analyzing data, preparing presentation slides and brainstorming with my teammates. I also had a chance to take part in the final presentation to our client, which was a great learning experience. When you are assigned to a CDD project, you focus on it 100%. However, in between projects, the Financial Advisory function can offer opportunities to experience other teams as well. For example, in my first month I also got to work a few days with the Financial Due Diligence team and with the Corporate Finance team. What have been the best parts of the job and what motivates you? I have really enjoyed my time in Financial Advisory. First, the recruitment process was straightforward, quick and educative. Every new Deloitte employee gets a “Buddy” who is there to help you with everything. My Buddy has been a huge aid for me – especially in the beginning when there were lots of new things to learn. He has helped me not only with practicalities but he has also been available to answer any questions regarding the work. Second, the amount of learning has been amazing. My learning curve has been extremely steep. In my short time here, I have already gained a rather deep understanding of a few industries. In this job I have the opportunity to challenge myself every day and my analytical thinking has developed hugely. Also, the Financial Advisory function is a perfect vantage point into the M&A field. Third, I find my colleagues and the working atmosphere really inspiring and motivating. I get similar feelings from this work that I got from my ice hockey team; we work ambitiously together towards a pre-set goal in projects, sharing the ups and downs, supporting each other and being creative together. The hierarchy is very low. My senior colleagues not only give support and feedback, but are also genuinely interested in my opinions of their work. Your advice to the next Deloitte trainees? My advice to the next trainees is to come here with an open mindset and willingness to learn. You will get the most out of the trainee period when you actively try to take on all knowledge available, without being afraid to consult and ask for advice from your colleagues. I can personally recommend internship at Deloitte for anyone with an interest in the M&A field. You should have the desire to work with challenging and rewarding tasks if you apply for the trainee positions in Deloitte’s Financial Advisory! Want to join us? Check out our trainee positions and send your application through our website.